One of the most important services for a business is an invoice service. This article explains what invoicing is and names popular online invoice services. Most small businesses and startups have very small departments. Some may have a few employees who handle everything, or many things, in the business. As you can guess, this usually means there is no accounts payable department. So invoicing customers falls to the business owner alone. Online invoice services are a huge part of a business’s success. Most business owners understand the importance of using software to help their business. That’s why many opt for SaaS solutions like referral marketing, reputation management, time tracking, and even email services out there. They allow owners to easily handle an aspect of the business that isn’t necessarily the bread and butter of what they are doing. By allowing a software service to address this need, the business can go on with their own mission. This is exactly why these services are so important. These guys have perfected invoices, time tracking, and payments so that the business can remain focused on what they do best. Before we get into why these services are important, let’s dig into what this type of software does. An invoice software helps businesses automate routine tasks. On top of that, it helps in handling manual data entry—making it easy to see the appeal in using it. Whether you mail or email invoices, this type of software helps automate the entire process. It often provides free invoicing templates to users as well. Invoicing software handles the billing of services for customers. Some even provide time-tracking. This way the expenses provided by an employee won’t lead any surprises for the parties involved. An invoice generator often takes all the guesswork out of the mix for everyone involved. Invoicing software has provided businesses with a way to handle different accounting tasks. Being a business owner or freelancer can be chaotic. Invoicing software makes you look professional. It shows your customers that you mean business and have everything together. Invoicing tools help you get and track money. Plus, it’s a nice way to let the customer see what they are spending their money on. It’s also beneficial for both your own and your customer’s, financial records. Customers like to keep these types of documents for their financial records. This is especially true for big or recurring projects. Automated invoicing makes things efficient. You no longer have to worry about anything getting lost in the mail. You don’t have to wait as long for the customer to make a payment. An added bonus is that most of the services we have listed below also track taxes. There are a few free invoicing options out there, as well. So you might as well try one if you’re in the market. For most businesses, these types of receipts show customers that it is time for payment. Payments mean money. Money is one of the reasons you’re running a business! If you’re a service type business, invoicing can be the factoring step in whether you get paid or not. People like to view itemized receipts or estimates. This is especially true before starting big projects. Most customers won’t pay until they have received a breakdown of the project. This is true for both pre and post project bills. Traditional business models that send statements for each billing period also like invoices. Why? Having an automated way to handle the process makes it easy for everyone. Note: some of the services listed do offer traditional print, pdf’s, and mail services. The top reasons to use electronic billing is that it can speed up your payments, and reduce your costs. Meaning more money in your pocket. Invoice Simple is a fast and easy invoicing app for small businesses and contractors. It allows you to create, send and track statements and estimates from your phone or tablet. It’s perfect to manage your company finances while on the move. You can email, text or print your bill as soon as you finish a job and accept payments via credit card if needed. Invoice Simple is perfect if you’re looking for speed and convenience. You can save used line items and client details, and even import contacts. You can create bills from estimates with one click, and both can be branded to your business. The free version allows you to create a limited number of invoices and estimates. Upgrade to a flat monthly or annual subscription to get unlimited everything. Invoice Simple is the joint-highest rated invoicing app on Google Play and iTunes. It is well-loved for its ease of use and simple, small-business-friendly pricing. Customers like the read receipts and tracking features. They also like the speed of getting started and the professional look. One of the easiest and most cost-effective invoicing apps on the market. Download the mobile invoicing app on Google Play or iTunes. Sighted is an affordable and customized invoicing and expense tracking software. It’s great for freelancers and solo entrepreneurs. Sighted lets you create, print and send bills that make sense for your business. You can tailor the check for product or service requirements. Depending on your needs, you can charge per hour, per project or per product and quantity. You can attach important files to invoices. Sighted allows you to bill in any currency as well. You can have freedom over your billing IDs, and see the status of your invoices and their payments like view unpaid, part-paid and paid invoices, and much more. Invoice2go is a mobile app that makes it effortless for small business owners to track work and get paid. It makes it easy for small business owners to create professional invoices on the go. Over 250,000 small businesses use it. Everyone from plumbers to electricians, dog walkers to make up artists use the app. 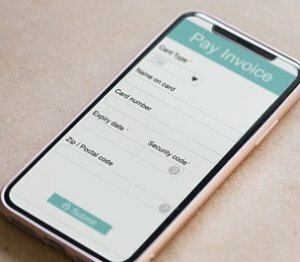 Invoice2go users send over 1 billion bills, every month. Invoice2go was founded by an independent contractor who was tired of complex accounting software. It received $50 million in funding from Accel and Ribbit Capital. Now it’s a top-grossing business app in 50 countries, and it’s available in 11 languages. Invoice2go is a 100 person company headquartered in Redwood City, California, and Sydney, Australia. Creating statements is easy with Invoice2go. They offer a wide range of template styles and upload your own logo. Get organized and save time with their cloud-based invoice app. Your docs sync with Android phone or tablet and are always available. Can you say “no more lost paperwork”! Invoicely is a free web-based invoicing platform for small businesses and freelancers. You can enjoy a fully-featured suite of customizable business reports and summaries. You will always know where your business stands. With Invoicely you can accept credit cards and many payment gateways from day one. Plus, let clients pay right from your bill, they can even pay on their mobile device. Track hourly billed tasks, expenses & trips. Invoicely tracks with ease and converts everything into estimates. It’s as easy as the push of a button. Invoicely offers a forever free plan that includes unlimited clients and invoicing. There are three different premium plans, from $9.99 to $29.99 per month. Premium options include a ton of extra features. Features like more payment gateways, custom branding, automatic invoice reminders, and recurring invoices. Billdu provides professional invoicing software. It has all the necessary features for a small business. It is easy to use and saves a lot of paperwork and time. You can access your business from your PC or MAC, smartphone or tablet. It’s easy for you and customers. They will have a simple way to pay their invoices—including PayPal options. Billdu allows you to create your own customized template. This includes uploading your own logo and signature. You will be able to manage your invoices, estimates, delivery notes and orders. Start sending professional invoices online in a few seconds with Billdu online. Wave makes running your business easier. Sending bills is a huge part of a business. Which is exactly why Wave makes invoicing easy. It’s great for on the go freelancers, consultants, contractors, and small business owners. You can send unlimited customized, professional statements, for free! Don’t worry this doesn’t mean it’s a free trial. Add credit card processing to get paid faster. Do less work, and get better results by managing your money better with Wave. Zoho Invoice, a web-based software that lets you craft beautiful statements. Send payment reminders and get paid fast, online. Send and manage your bills from anywhere. Zoho is everything you need for your invoicing, payments and time tracking needs. You can completely design and customize your invoices with ease. Plus, integrate with your other business systems and apps. Sign up and start sending invoices within a few minutes. FreshBooks makes small business invoicing and billing very simple. You’re going to love the time you have to focus on doing what you love. FreshBooks makes running your small business easy, fast and secure. FreshBooks makes creating professional-looking invoices for your business easy. It’s simple to create and customize your statements, add your logo and personalize your thank you email. Everything is in the cloud. You can access it from wherever you are, by phone, tablet, and desktop. Connect with all your other business apps. Start running a smooth and completely integrated business. Try it for free for 30 days! 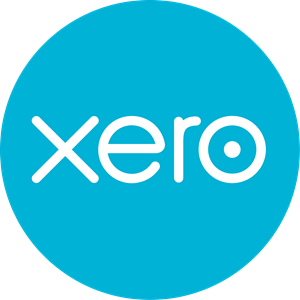 Xero is a beautiful online accounting software designed for small business. It’s easy to use and integrates with over 500 business apps. This way you can customize your entire experience. Xero uses web and mobile. Allowing you to manage finances anytime and anywhere. Run your business on the go with Xero web-based invoicing. You can try it free for 30 days. Save time and get paid faster with QuickBooks software. This invoicing software makes it easy to customize your web-based invoices. You can design an estimate template from scratch. Or you can change one of QuickBooks pre-installed invoice templates. It’s easy to add your company logo, change colors, select fonts, and choose what will appear on your statements. If you prefer to mail paper receipts, it’s easy to print them out and they’ll always look great. QuickBooks invoice software processes and records the payment in your books. Quickbooks does all the calculations and keeps everything organized for you. See paid, not paid, and overdue invoices, by running reports. It ’s easy to generate and send reminders to outstanding accounts from QuickBooks. As you can see there are a ton of great options out there. You can definitely see the appeal in using online invoicing services. Who do you use for your invoicing needs? If yours is not listed, let us know.